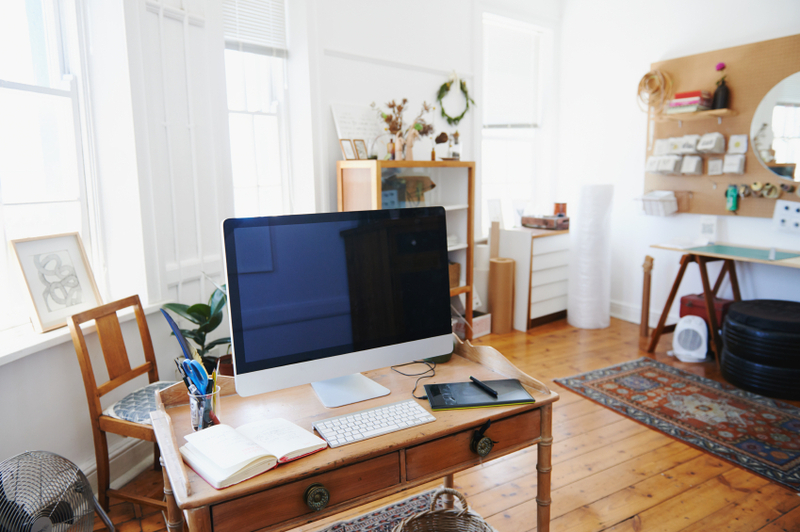 Whether you work at home or just have a separate space for some peace and quiet outside of work hours, your home office is one of the most vulnerable to clutter. Old papers, office supplies… occasionally, it can even collect some items for “storage” that don’t quite fit as well into other places in the home. Take a look at some top tips for making sure your office doesn’t take over your home. Cut out all of your excess papers. This can be a huge part of cleaning out and organizing a home office, as papers are one of the main elements that seem to continue growing every day. Take some time to really get into your paper piles and sort out what’s important and what’s trash. Once you’ve found the good stuff, move on to a good filing system. A good filing system can have invaluable results. It not only helps you to clear out your current clutter, but it also helps you to stay organized moving forward. Many people opt for a color-coded filing system where hanging folders and tabs of different colors represent categories of files. For example, green can be personal files, yellow for financial, and red for medical. Many people develop one or two nightmare drawers that are full to the brim of different types of supplies. To help ensure that this chaos doesn’t continue, you can separate different types of supplies into containers. For example, a small Tupperware for all of your pens, one for your paper clips, one for your thumb tacks, and so on. Then they can all fit nicely into a couple of drawers. Continuing on the path of the drawers full of office supplies, it’ll help to better organize your office and help you find things when you’re looking for them if you store like items together. For example, all of the writing utensils in one drawer or area, all related files and papers in one area, budgeting tools together like your calculator, bill calendar, and checkbook. Instead of bringing in a clunky book case, think about an option like a book spine that you can install along a wall. It will take up less room and leave your office feeling more open and accessible, all while allowing you the ability to organize your books, manuals, and notebooks. A home office can be an important space for concentration and decision-making, so make sure you’re making the most of it and minimizing your distractions. Even the least shoe crazy among us usually has at least six pairs of shoes for different occasions and uses. When shoes include a combination of sandals, tall boots, pumps, sneakers, and loafers, it can be difficult to figure out how and where to store the shoes to keep the room organized and attractive. The following are a few different ideas for keeping your shoe chaos to a minimum. Shoe boxes keep shoes in good condition and can give the area of the room a consistency of appearance when the shoes are stored inside of them. To add a decorous touch, you can paint the outsides of the shoe boxes in the same color and place a photograph of each pair of shoes on the front of each box. The only down side to storing shoes this way is that they will take up much more space and require large shelves, especially if you have many pairs. Bed skirts are the perfect height to conceal hanging shoes. There are hanging shoe racks that are designed specifically for this purpose, or you can cut apart a hanging shoe rack that would normally fit behind a closet door and repurpose it. Keeping your shoes like this can save tons of closet space and make it very easy to find specific pairs of shoes when you need them. An ottoman with storage is a perfect place to store a few pairs of shoes. By stapling fabric to the sides, you can create perfect little pockets to store your shoes. Boots or oddly shaped shoes can go in the middle. This keeps the shoes out of sight, but easy to get to when you need them. Placing pegged coat racks by an entryway or in the garage can give everyone a place to put their shoes after removing them. This can really come in handy when the weather is unfavorable, as it will allow the shoes to dry faster and will keep the mess out of the rest of the house. Place the rack low enough so that its purpose is obvious, but high enough to accommodate tall winter boots. If you have a shelf or tall dresser that is not being used, it may be the perfect place to store your shoes. If your shoes are stylish, the shelving can help to show off your collection. If your shoes are utilitarian, a dresser may be better, as it will conceal your unsightly sneakers. To save space in the room, you can store either of these in a large closet. The holidays can be a hectic season, whether you and your family are traveling, hosting guests, or just trying to deal with all of the seasonal commotion. It can be easy to feel overwhelmed with seemingly never-ending task lists coupled with the feeling that your home just can’t get clean or organized enough. 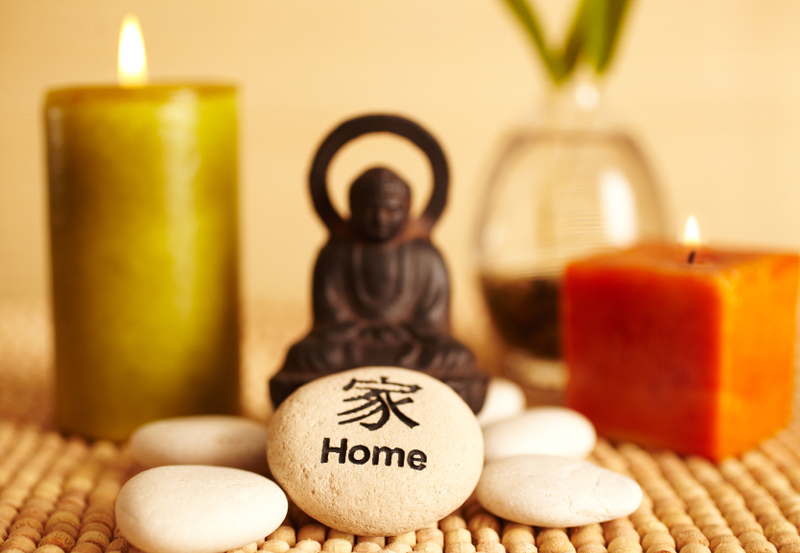 To keep your home in tip-top shape and gain some peace of mind, take a look at some top tips. 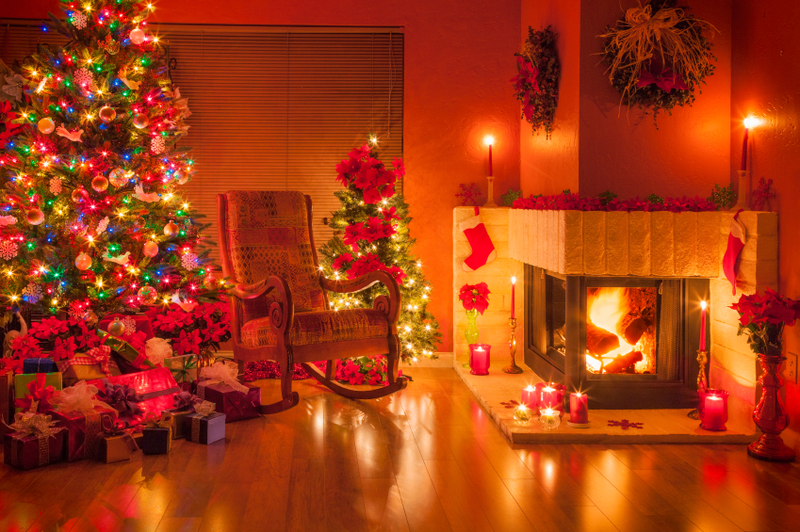 There’s no better way to make a house feel stuffy and cluttered than to over-fill it with holiday decorations. Don’t get us wrong – if you’re a lover of all things holidays, deck our house to full glory! But for those of us who may get a bit anxious of too many things, it’s a good idea to choose decorations wisely. 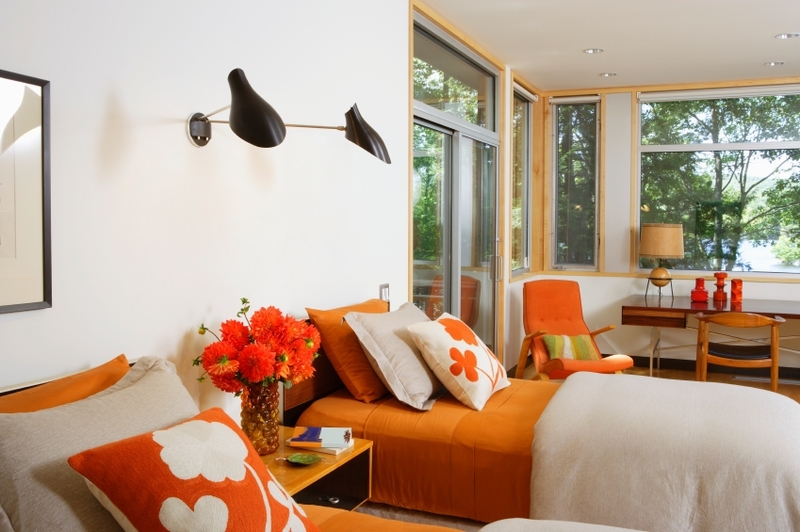 Minimalist lights, trinkets, and hangings can help to keep your home feeling open and clear. If you’re entertaining guests, it may be helpful to prioritize your cleaning and organization efforts. For example, you’ll benefit by paying more attention to trying to handle areas where you’ll be hosting guests, like living rooms and dining rooms. Making sure these spaces are always tidy and sharply decorated will help your home look nice to guests while relieving a bit of the urge you may have to clean everything inside and out. For those with kids, it’s easy for old toys and other items to quickly pile up over time. Do you have last year’s toys that your kids have already outgrown? Don’t leave them in your home to take up valuable space while their only purpose seems to be collecting dust. Try donating them to charity if they’re still in working order (it’s not surprising for some of them to be barely used!). On top of a tidier home, you’ll also be helping out families in need. That’s what we like to call a win-win. Sometimes, we’ll feel like we could use a thing or two to spruce up the home. However, it’s easy to forget what we already have. Don’t do out buying the same decorations, dishware, and supplies as you already have. Before you go out shopping, conduct a thorough “inventory” of what you have versus what you need. This way, you won’t accidentally double-up on anything, which ends up as wasted space. Many studies have shown that clutter increases stress levels. 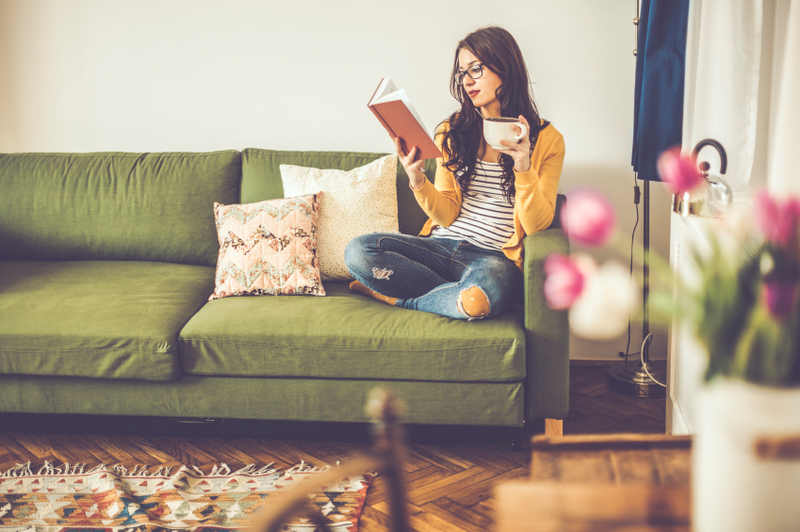 While it may seem like organizing a home is stress-inducing, organizing can actually have real benefits when it comes to reducing stress levels and may even promote better health. Organizing your home may help lighten your stress load in the following ways. When a bedroom is filled with clutter, piles of laundry, and half finished projects, it can be distracting and anxiety-inducing. These types of distractions have proven to make it more difficult to relax and sleep. When your sleeping patterns are disrupted, it can raise stress levels even more, creating a vicious cycle. Clearing the clutter can make it easier to use the bedroom for only the things that it is supposed to be used for, helping to reduce overall stress. When there are items in a room that often go unused, those items may actually evoke emotional responses, such as guilt over not using them or annoyance that they are in the way. Taking a moment to remove or store unneeded items that are in the open areas of a room can save many future moments of having to move those items, removing the stress from the situation. As the appearance of the room improves, going into the room may actually elicit positive emotional responses. Offices, spare rooms, and other areas that are used for bill paying and similar activities often become catch-all areas for paperwork and clutter. Trying to get anything done in this kind of environment can be stress-inducing as you survey all the things that haven’t been done yet. Investing in furnishings to assist with organization (such as mail sorters or filing cabinets) and taking the time to go through paperwork before it builds up can help to boost productivity. When mail and other paperwork is disorganized, it increases the potential for missing utility bill due dates and other deadlines. Not knowing when things are due and having to constantly search for bills and important papers can be extremely stressful. Missing bills and paying late fees or having needed services cancelled can increase stress even more. Staying organized and on top of deadlines can help to alleviate stress and may even help you to save time and money. Contact Closet Envee today so that we can help you get started on organizing your home and reducing your stress! A spare room often seems like a great idea when you are house hunting and the price is right. Many of us have dreams about what we would do with a spare room, envisioning a cozy space to write a novel or a bright open area that will spur us to reach for fitness goals. Unfortunately, what ends up happening in many cases is that the spare room becomes the catch-all for items that we don’t want to deal with. Worse, this room often becomes an emotional burden as we feel guilty ever time we see it or add something, so we avoid going in there. The following are a few ways that you can maximize the potential of your spare room and create a more usable space. 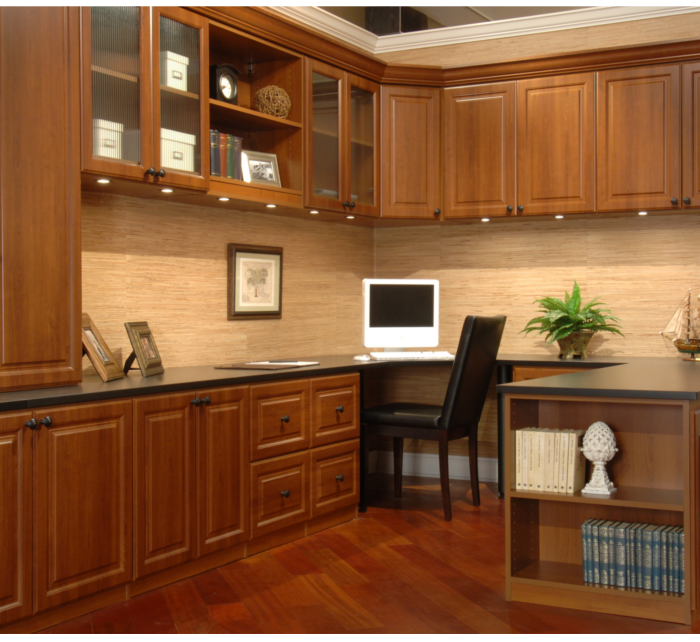 Many spare rooms have at least partial use as a home office. There is often a desk, littered with papers, mail, and various knick knacks. To begin creating an office that will inspire you instead of draining you, start small. Tackle the desk first; bring a trash can along for junk and file things that need to be saved immediately. After the desk itself is clear, you will feel accomplished and possibly inspired to move on to other areas. If your spare room’s main purpose was identified as an extra bedroom, the bed is often the biggest catch-all. Clothing that you are considering donating and new items that you are unsure of what to do with may be among the debris littered across the bed. This gives you an ideal starting point for organizing. Clear the bed by getting rid of any items that don’t have an explicit use, finding a home for the things that you do want to keep. If there is also a closet in the room that needs to be tackled later, make it a point to stay away from the closet and to re-home your items elsewhere to avoid creating a bigger mess to deal with later. Once the bed has been tackled, you can move on to the closets and other areas. A home gym can make it easy to work out without spending extra money, which can be great for your health and well being. Unfortunately, workout equipment often ends up shoved in a corner of the spare room with clothing and other items piled on it. Freeing the workout equipment is the easiest first step to restoring your spare room to home gym status instead of clutter closet. Once the main area is set up with your favorite equipment, it should be easier to figure out how to organize the rest of the room. 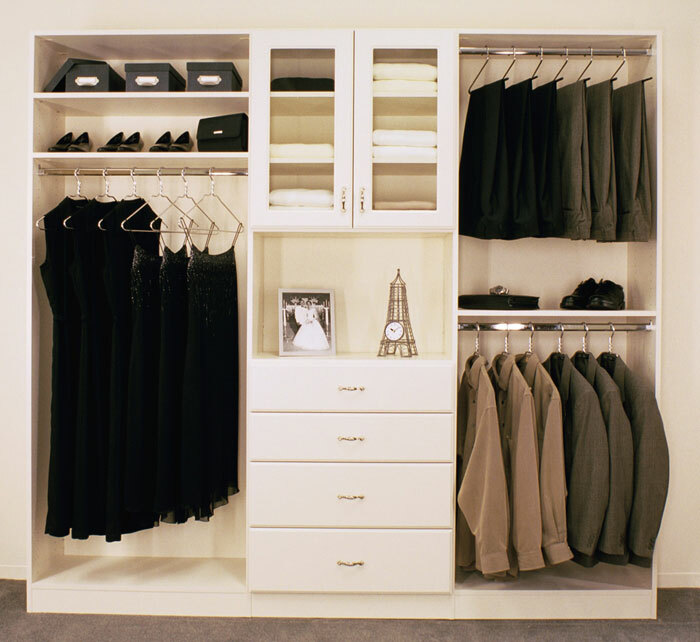 For assistance with maximizing your spare room’s potential, call Closet Envee today! When it comes to cleaning and organizing, spring cleaning gets all of the hype. Organizing and cleaning in the autumn has many attractive benefits, however. If you have been putting off digging into your closets and other storage spaces, there are many reasons why now is the perfect time to get down to business. When you pull all of your storage out of the closets and corners, there is bound to be at least a little dust. Opening windows can help you clear the air, keeping you comfortable and allowing some of the stale air and dust to naturally cycle out of the room as you clean. Now that it is autumn, it is possible to open some windows and shut the air off for a short time to do this without risking heat stroke. Any home with children is going to be much easier to organize when the kids are in school. It will be possible to dig into their closets and spaces, pulling out things that they have outgrown or that won’t be needed through the fall and winter. It may also be easier to find the time to organize the rest of the house while the kids are occupied with school. In most homes, there is an incredible stash of decorations that are used throughout the autumn and winter. Since you will most likely be pulling those decorations out and setting them up soon, it is an easy time to pull out the rest of the storage that is in the closet, garage, loft, or other areas and really go through everything well. Since you have pulled everything out, it should be a snap to make everything easy to access and well organized when you put things back. As autumn progresses towards winter and everyone begins preparing for the holidays, most homes get busier. Getting the jump on your home organization needs well before the holidays can make the latter half of the year less stressful. When your spaces are organized, you will be able to easily locate the items that you need for tasks and projects. Weekly and daily cleaning tasks will take less time without all of the clutter. It is also easier to figure out what to do with the new items that you acquire over the holidays if the items that you already have all have a home. 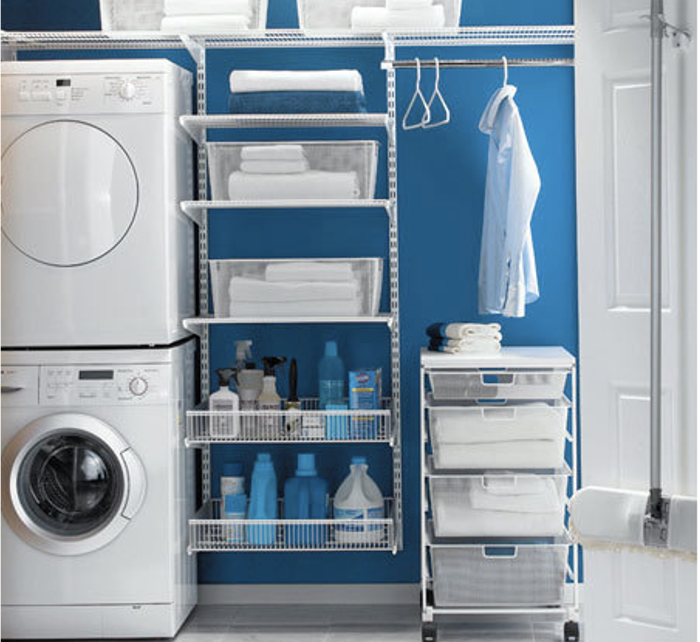 It can be tough to get started with home organization. Contact Closet Envee so that we can help you get set up for the most wonderful time of the year! Every house is as different as every owner, and it’s important you know all the options that are available to make your home into the magical space you want it to be. When choosing new storage furniture for your home, there are some unique items that you may have overlooked. It’s not only small objects left around the room that create clutter. Having too many large pieces of furniture in the room can make the place feel crowded. While closet space is always necessary, it’s also nice to have the room feel open for different types of furniture other than shelves and cabinets. A proper ceiling to floor closet that lays perfectly flush with the wall can be a perfect solution to allowing other great types of furniture to take up some space. Whether you want flashy wooden drawers built into the wall, or simply a more hidden sliding wall, our experts can give you the proper help you need to make your walls into so much more. A good dinner party can often be ruined by the lack of space on your table. 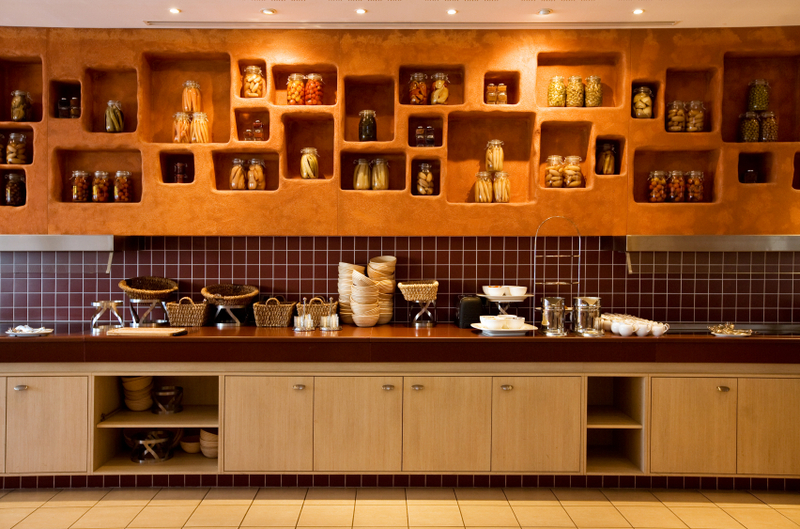 Your great food and beverages might look more like a cluttered mess rather than a well put together ensemble. The credenza is a unique dining room sideboard cupboard that is often used to store things or as a decorative wine or liquor rack. The best part about this specific storage space is that it also becomes an extra table where you can place your desserts, hors d’oeuvres, additional plates or candles. It’s a classy affair made easy. Although the term wardrobe can be used for any space where we put clothing, it’s more commonly used as a closet that is removed from the wall. In olden times, wardrobes were reserved for the nobility in their castles and estates. Nowadays, they are much more common, but can be just as regal. Not just for the bedroom, the impressive wardrobe can also spruce up the living room or dining room with their signature look. Along with clothes, they can be customized for any daily object you want to organize and store, whether it be important papers, expensive dishes or your growing collection of video games. Finding what furniture and design is right for you is what Closet Envee is all about. Contact us for a free consultation. 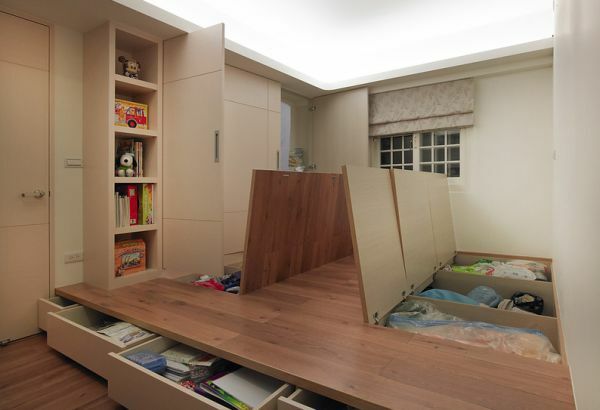 Ever since we were children we’ve been trying to store our excess stuff under our beds and in any nook imaginable only for our parents to yell at us to get our stuff out from behind their sofa. The struggle for storage has been real since we were little. Fast forward to us being adults and now there are plenty of options for storage utilizing empty space you never thought possible. Your end table doesn’t just have to be a place where you set your lamps and coasters. Adding storage with character to your living space is easy when you consider using a rustic barrel or vintage trunk. Distinct decorum that doubles as storage hiding in plain sight. Having children requires you to create access to things they want or need. When utilizing stools, consider having paneled stools. You can keep plenty of odds and ends within them, for you or your children. You can keep it light and easy by story blankets and other household treasures inside. One of the best things to do after a long day is unwinding on the sofa and kicking your legs up onto an ottoman. No longer just a foot rest, you can store the day’s newspapers and your magazines as well as other useful things to help you relax. Ottoman storage is a great way to store living space clutter. Before you may have seen a butler cart as being to fancy or unwanted kitchen clutter. But, this is a functional antique piece that can be used to move food around your home and is a great place to store kitchen utensils at the same time. 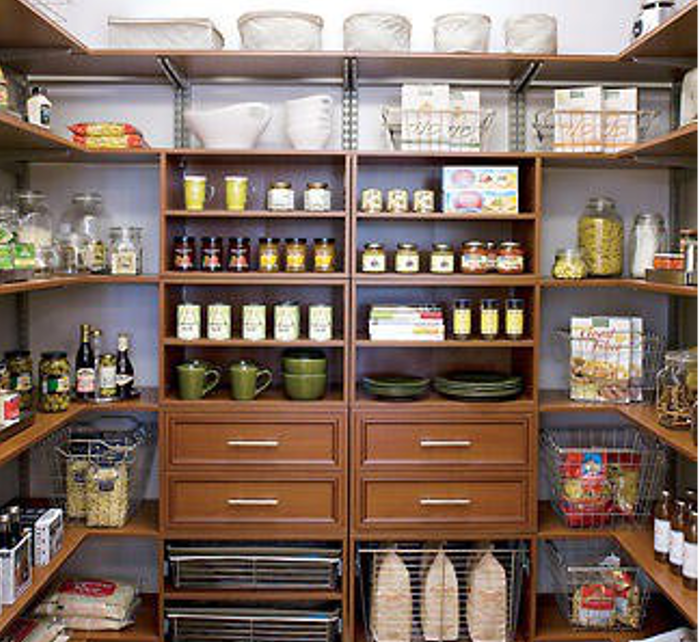 By maximizing the dead space below the serving surface you are able to free up kitchen cabinetry space. You can never have enough benches in your home. They are versatile pieces of furniture that could pull triple-duty for you. By adding a bench near your entryway or in your kitchen, you get an aesthetically pleasing storage space that guests and family members alike can sit on. With a little imagination you’ve been able to remedy our storage problems while maintaining a sense of style within our homes. These solutions are just the tip of the iceberg available to you. Your house has so much space maximizing potential. If you are a little crafty with a hammer and nails, your options are boundless. 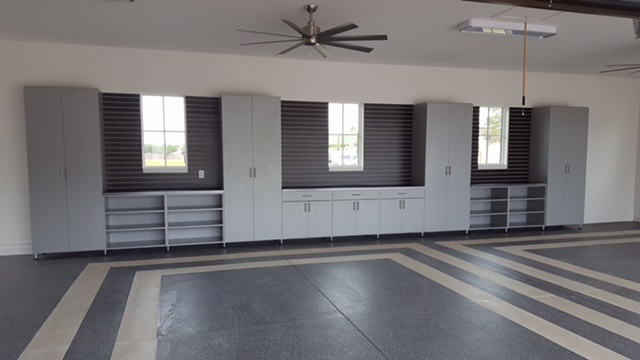 Check out some of these ideas or contact Closet Envee to bounce thoughts off of us, we are here to meet your storage needs!